The liner notes reveal a group effort. 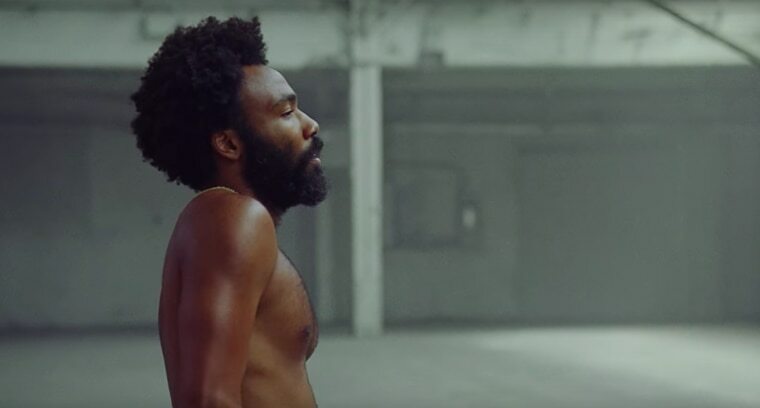 Childish Gambino's new track and accompanying video "This Is America" has generated a lot of conversation, including speculation on background vocals. Complex spotted Tidal's liner notes of the song, which reveal that five artists contributed to the song: BlocBoy JB, Quavo, Slim Jxmmi, Young Thug, 21 Savage. Young Thug has seemingly the most obvious line on the track, clearly saying "America, I just checked my following list, you motherfuckers owe me" during the song's second minute. The others offers mostly ad libs, including a "straight up" frm BlocBoy JB, whose "Shoot" dance makes an appearance in the video. Read Complex's breakdown of the contributions here.